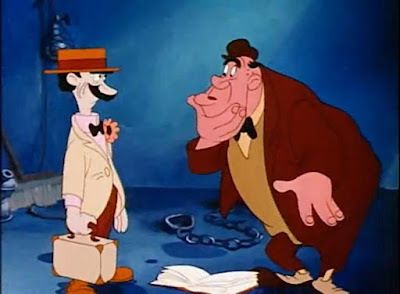 You probably wonder who these two characters might be. They are part of an ensemble cast from the Disney 1945 Donald Duck short Duck Pimples. 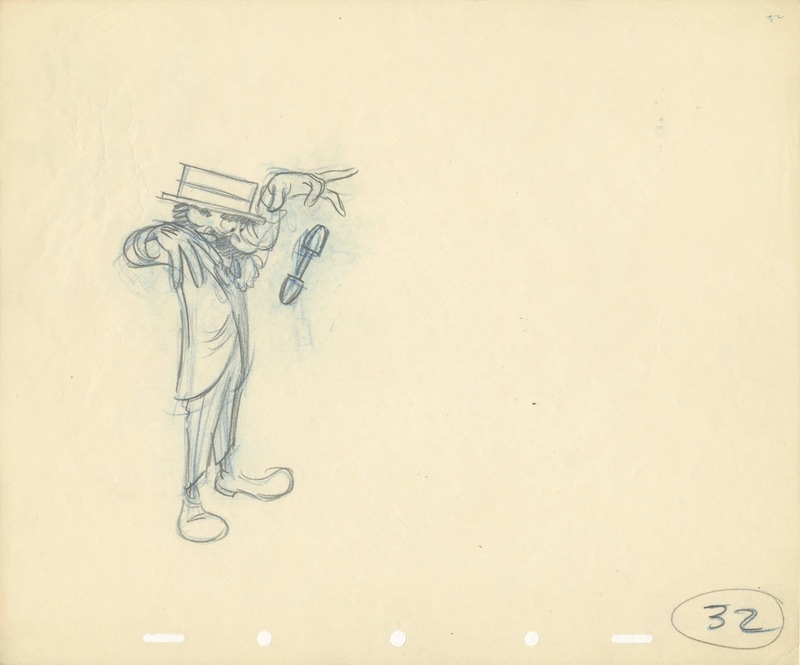 Donald Duck's imagination, enhanced by scary stories on the radio and in books, moves him into a seemingly real crime world, which ultimately turns out to be imaginary. 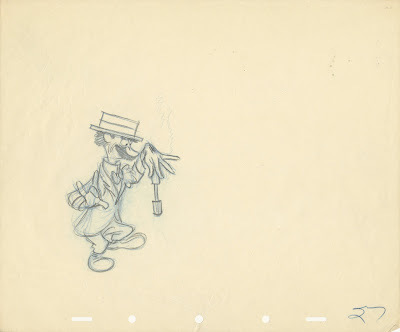 Donald's dream is enhanced by the backgrounds that abruptly change each time a new character appears in it. This is a very weird Donald short, and I love it. Fantastic fluid character animation. 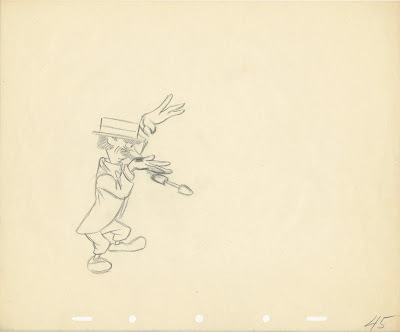 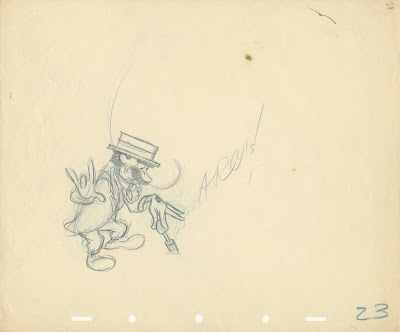 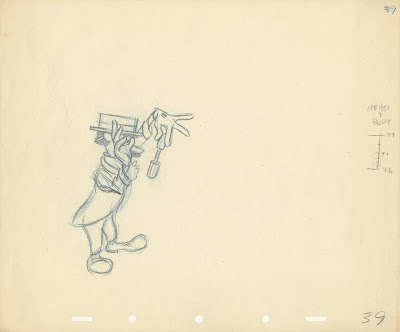 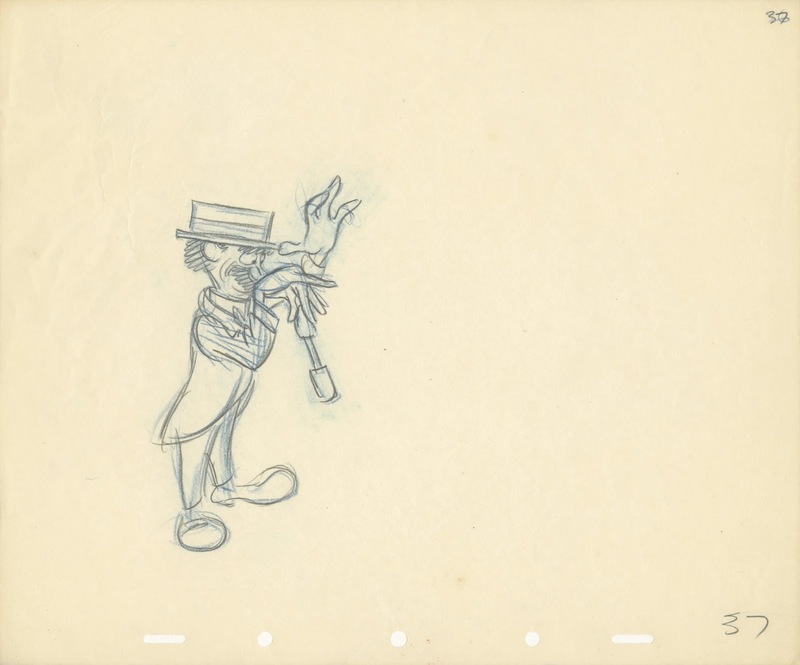 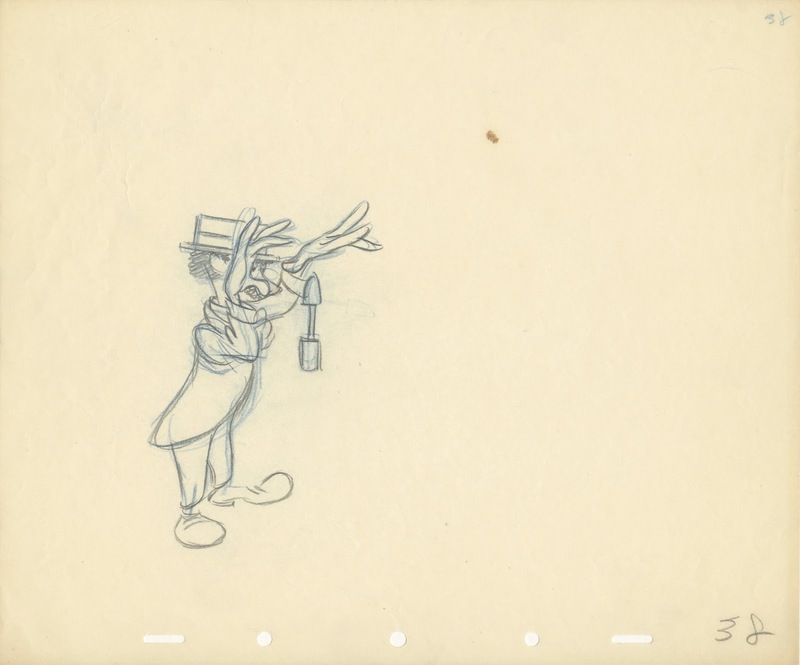 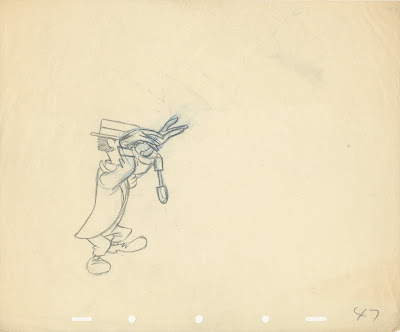 Milt Kahl animated Leslie J. Clark, a hot irons salesman. 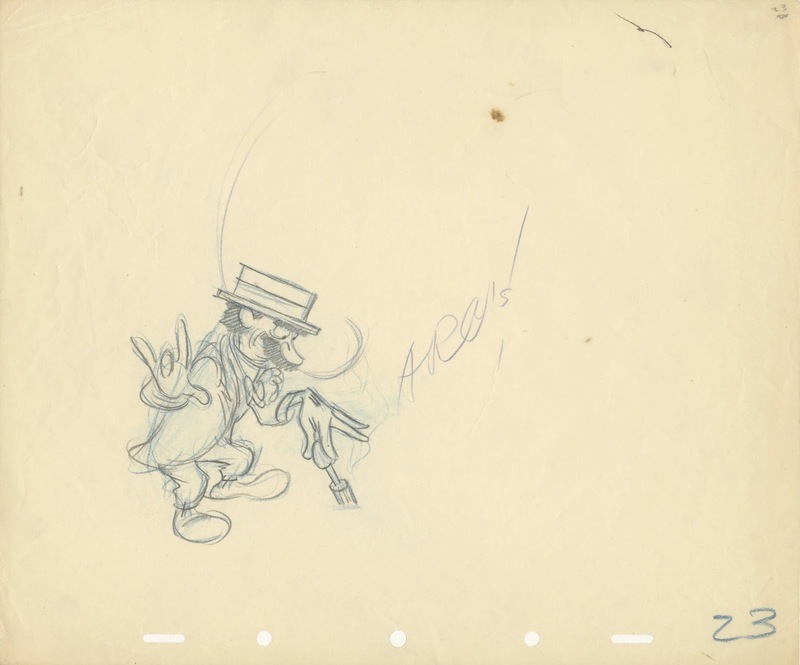 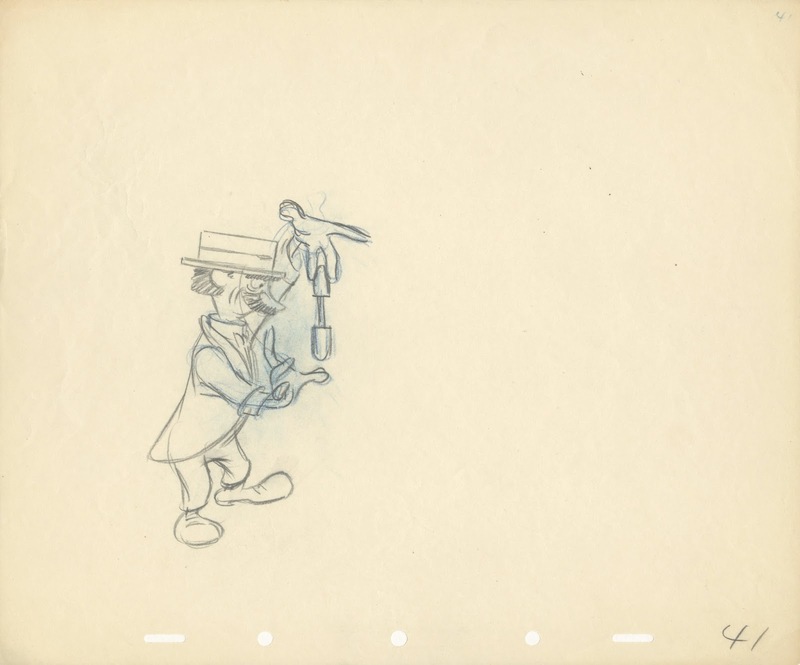 In these terrific rough animation drawings he pulls a whole bunch of hot irons out of his suitcase...and because there are hot, they are also hard to handle. 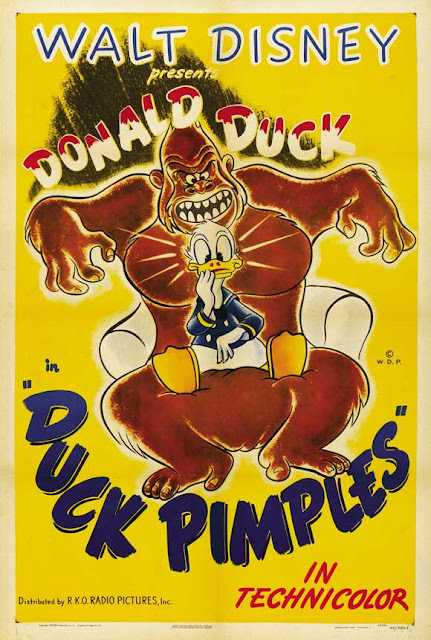 Really great animation, check out the film on Youtube or on one of the Donald Duck DVD compilations. 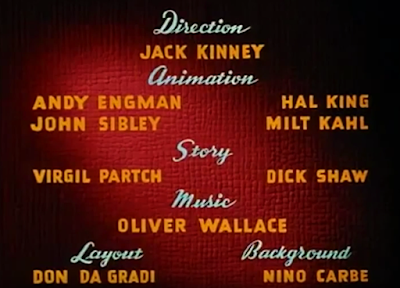 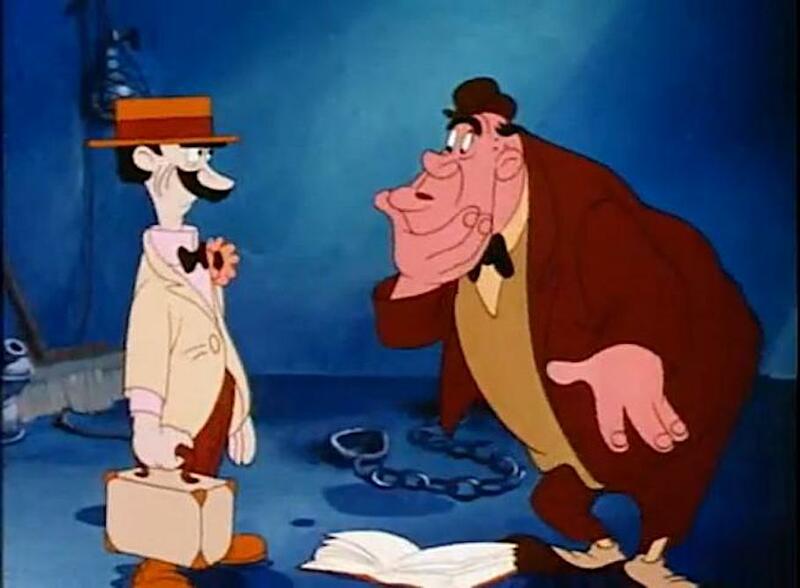 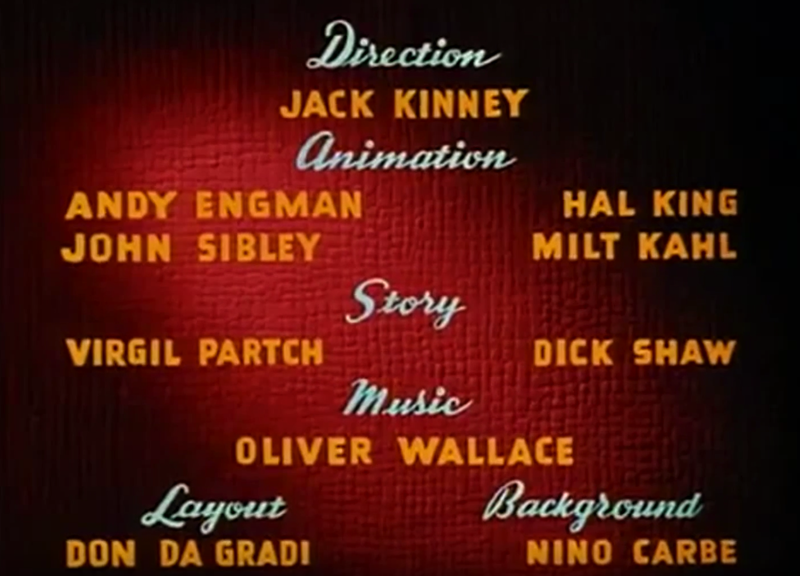 Freddie Moore also animated on this short, but for some reason didn't get any credit.